I was never much of a team sport player during my growing up years. I was just your classic socially awkward, coke bottle glasses wearing nerd. I found that when I was working on projects in school, being in a group would take twice as long to turn out an inferior product as if I were to do the work on my own. So I stopped trying to be part of a group. If I was forced into a group, I would just find a shadow to hide in and do whatever grunt work was tossed at me as I attempted to ignore all the inefficient processes going on around me. I never really “got” what being a team member was all about. I was used to doing everything on my own. Maybe the Aspergers had something to do with my inability to connect with others, but I found that working inside my own little bubble of systems was too efficient to make expansion worth the effort. 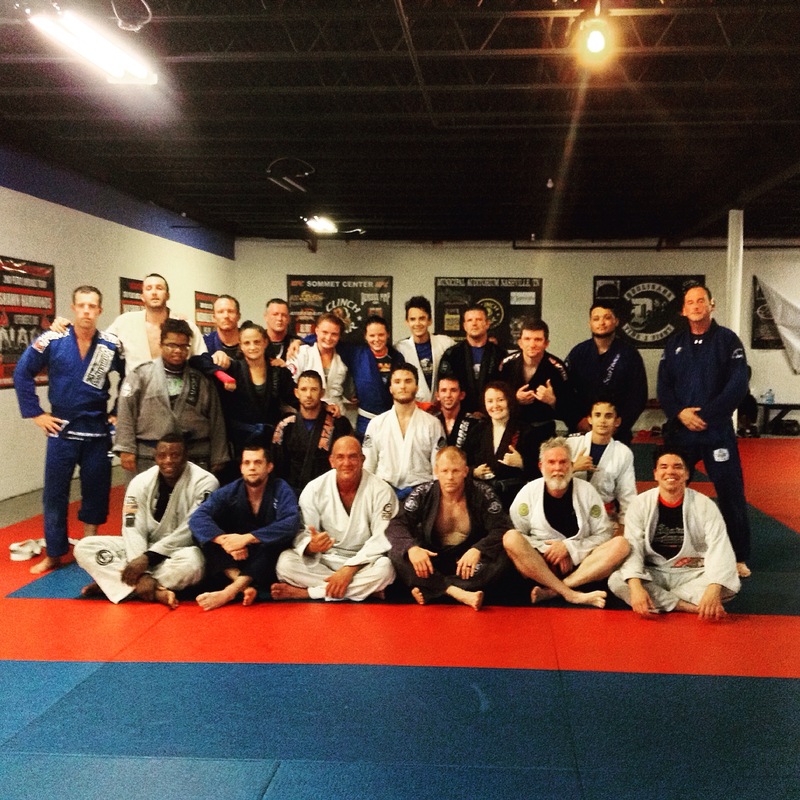 There is only so much Jiu Jitsu you can do by yourself. I woke up one day, and found that I had somehow managed to integrate myself into a real team – without even realizing it was happening! There was a two part pivotal moment that made me a believer. My first competition a couple weeks later. It was a crazy whirlwind, but I fell back on the move that I thought I would never use, and it worked. My first competition submission was a triangle choke, set up from spider guard. I won 3rd place that day. Going out to eat (buffet!) with the rest of the team after that competition, for the first time in a long while, I felt like a contributing member of a team. I have come to understand quite a few things in the last several years because of this. There is a limit to what I can achieve as an individual. No matter what the field is, I have limits of knowledge and ability. However, with good team mates, we help each other beyond what our own individual limits are. Together, we are more. On a good team, everyone has the same or similar goals. In my school, some are there to get/stay in shape, some are just having fun, some are hobbyist competitors, some are serious competitors. However, our base goal is all the same: to improve our Jiu Jitsu. It’s okay to feel like the weak link on a team. I was the weak link when I first started out, and some days I still am. However, I came to realize that if I am the lamest duck on the mats, I can only improve from that point. It means I have effectively surrounded myself with people who are more successful that I am. That mojo is gonna rub off, and I’ll be there to collect it! Just as I find myself bolstered where I hit my limits, I have a responsibility to my team mates to help them when they hit their own limits. Everyone has strengths and weaknesses within a team – but as a team, we fill in the gaps for one another and it becomes one amazing impregnable force! 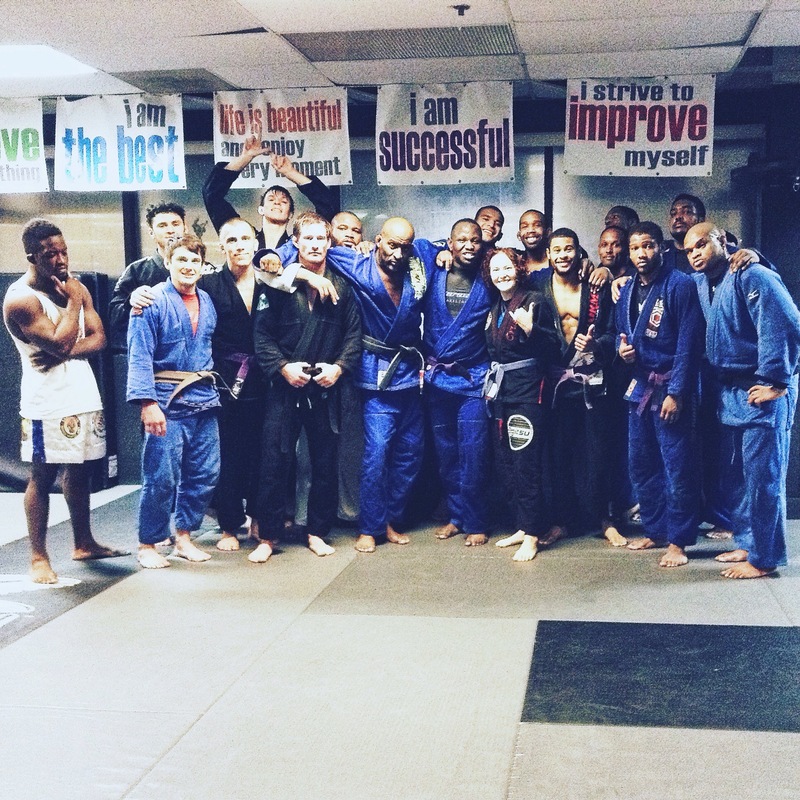 Jiu Jitsu has been a major touchstone in my life. This is just one of the aspects in which it has affected my world view. 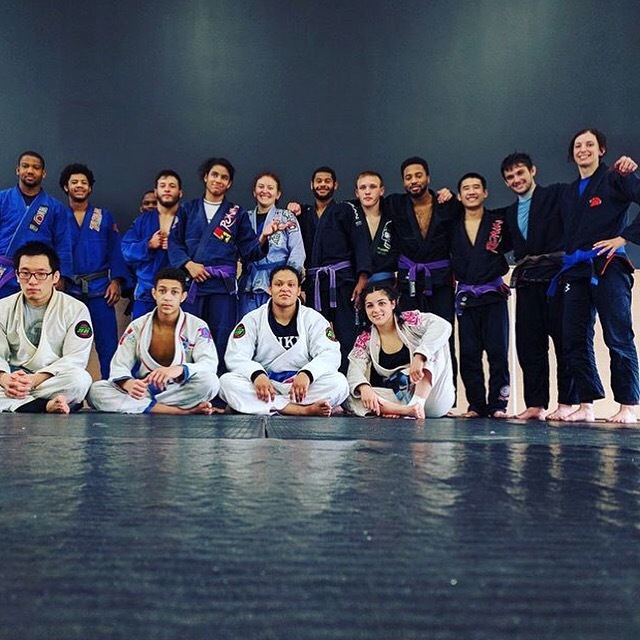 How has Jiu Jitsu affected your life? Please share! 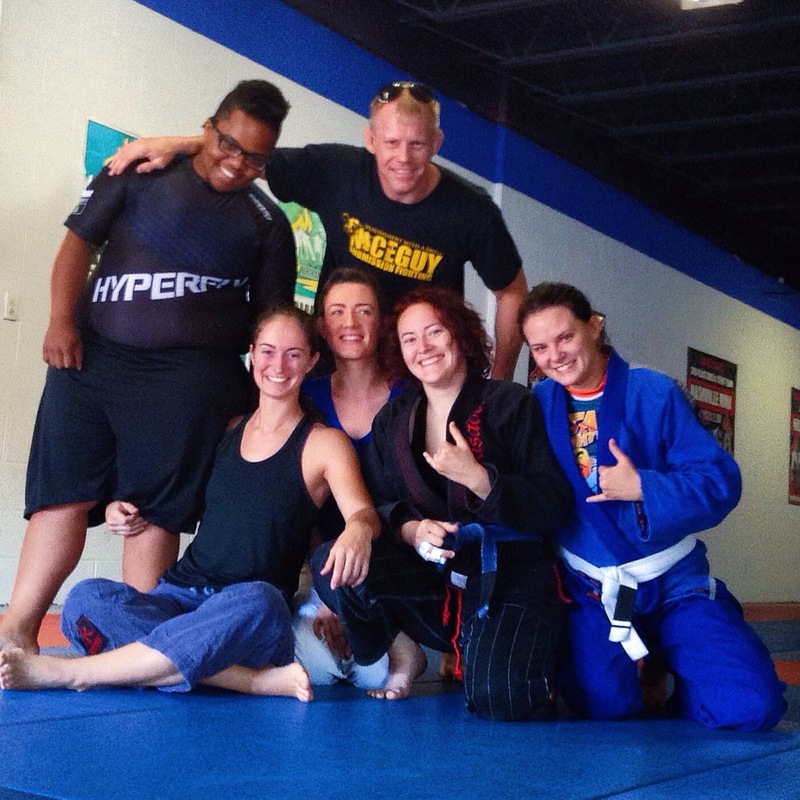 For more information on spectrum disorders and BJJ, I wrote much more detail in an earlier post “Jiu Jitsu and Aspergers Part 1“.